Notaker is welcoming the spring with a plethora of new music, notably his sophomore Monstercat EP. Following the late January release of ‘Into The Light’ ft. Karra, the lead single off PATH.FINDER EP, Notaker is returning with a heartening dance cut. ‘Each Other’ utilizes Eric Lumiere’s slick vocals as a leading tool, setting the stage for a dance-primed melodic anthem. Contrary to the majority of Notaker’s arsenal of productions, the track sees him try his hand at combining his signature glitch-infused sound with a progressive electro lead. Lumiere, eminent in the trance scene for lending his vocals to Cosmic Gate, Ferry Corsten, and more, ties the production together with an uplifting and empowering topline. 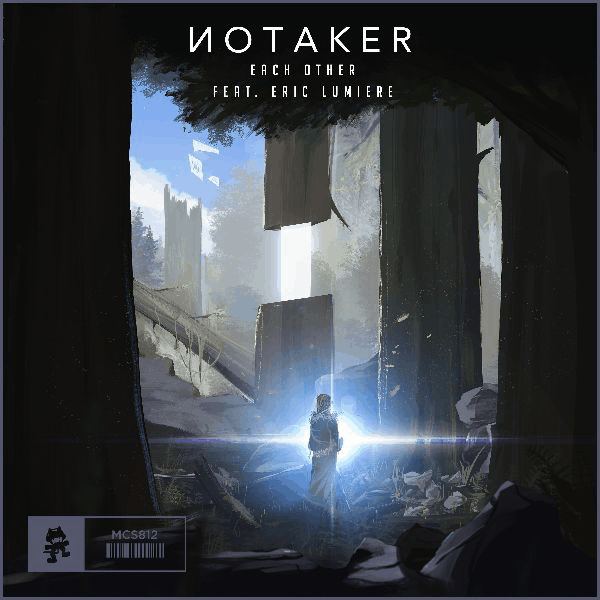 Notaker continues to take fans by surprise with the versatility in his production styles, continually testing new angles and giving his music a remarkability only a few artists are able to achieve. PATH.FINDER will mark the St. Louis-based producer’s second EP on Monstercat since the 2017 release of his acclaimed debut EP, Genesis. Garnering international success, as well as support from industry heavy hitters including deadmau5, Seven Lions, and Slushii, Genesis paved the way for Notaker to become a leading player with his distinct immersive bass sound. Marking the next chapter in his introspective universe, PATH.FINDER will be available across all streaming platforms on April 8th via Monstercat.